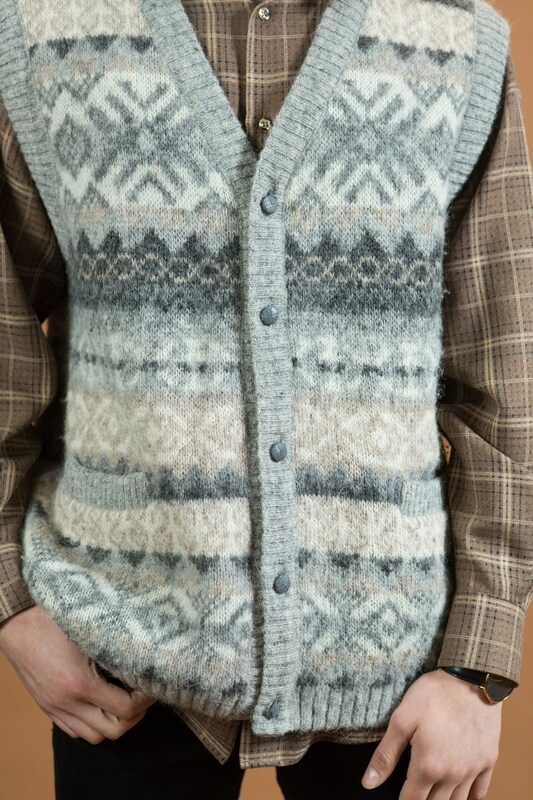 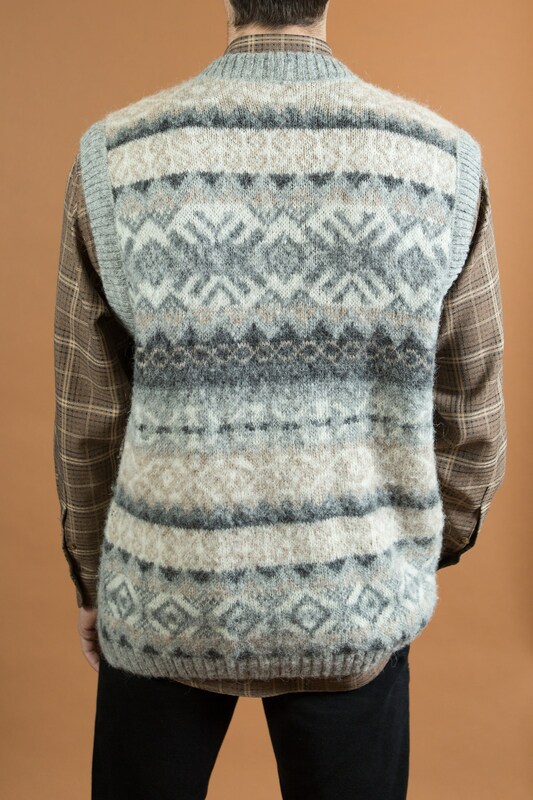 This nordic style vest is great for layering. 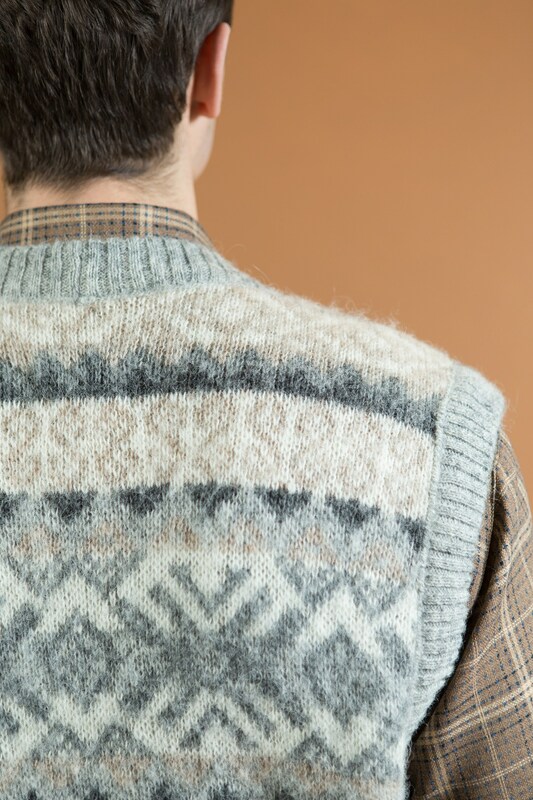 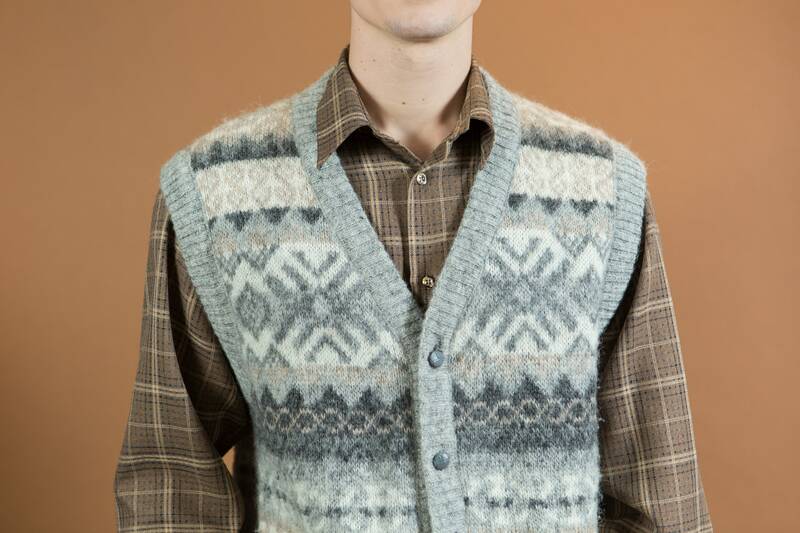 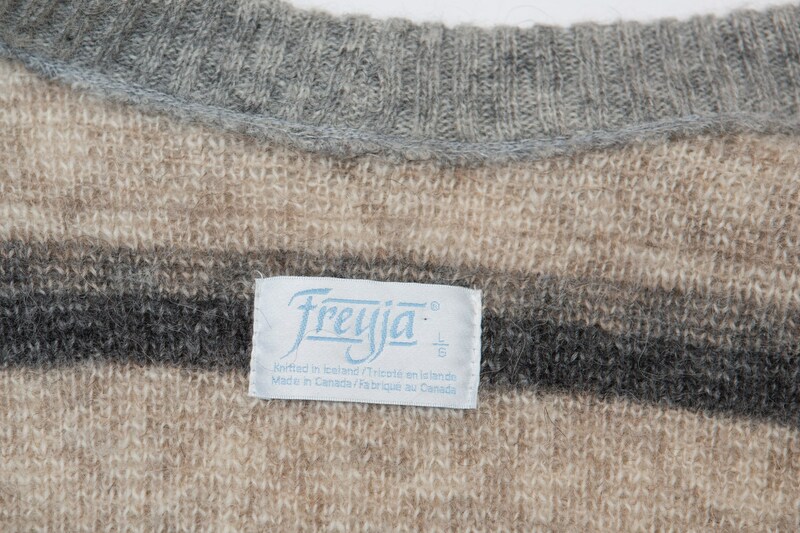 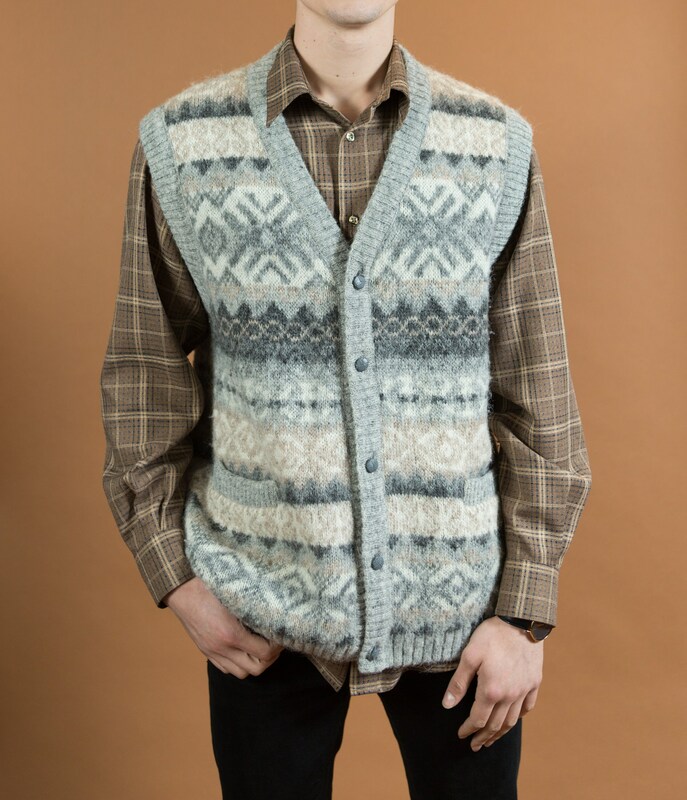 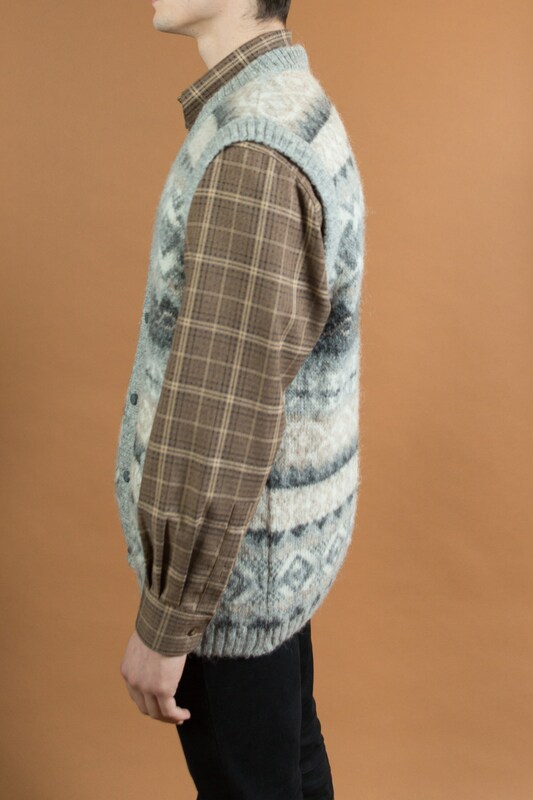 Knitted in Iceland, this wool sweater vest of perfect for fall. 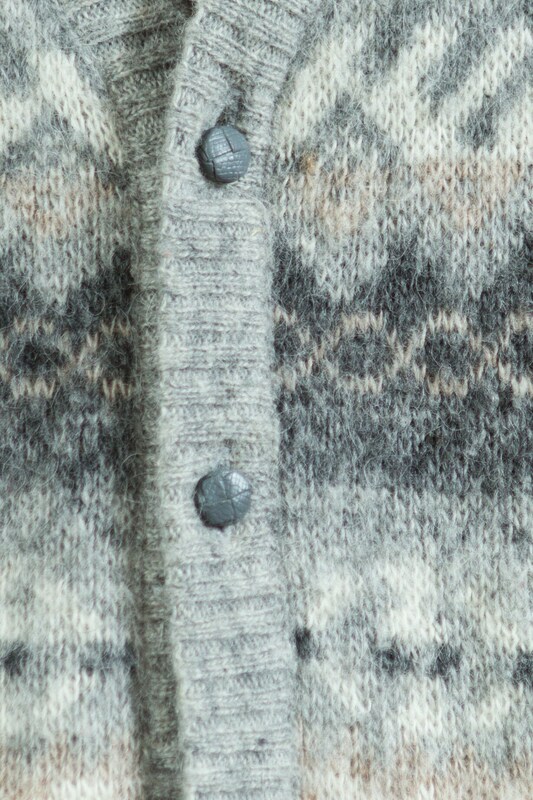 Features warm geometric patterns, grey leather buttons, and front pockets.